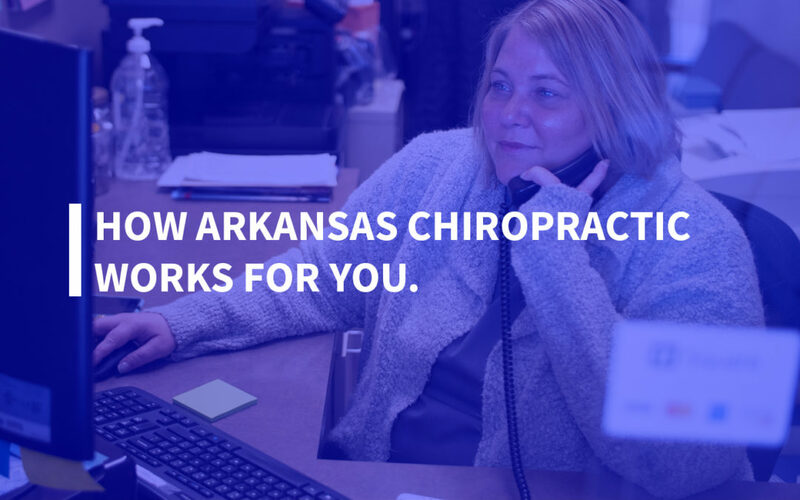 Arkansas Chiropractic Group specializes in treating injuries caused by car accidents and helping our patients receive maximum compensation for their injuries. If you’ve been in a car accident, here’s how Arkansas Chiropractic works for you! We will help you through the claims process from filing to getting the settlement you deserve. Making the process as quick and smooth as possible is our biggest priority. Following a car accident, you may be flooded with phone calls, texts, and mailers. We help take the confusion out of the process. Our doctors specialize in treating common injuries suffered by those who have been in car accidents. These injuries can include neck pain, back pain, and migraine headaches. Spinal adjustments help relieve pain following an accident. It can also be used to treat other issues, such as asthma, limb and joint pain, muscle spasms, allergies, spastic colon, headaches, and migraines. We offer various therapies to accompany your chiropractic treatment. Therapy, especially for muscle, joint pain, and soft tissue injuries can provide pain relief by decreasing inflammation and increasing blood flow. Our therapy treatments include ultrasound, muscle stimulation, spinal decompression, traction, thermal therapy, and exercise therapy. If you’ve recently been in a car accident, you may not currently have the transportation required to get to and from your appointment. We will give you a ride! Please contact our staff at your clinic to learn about which transportation options may be available to you. If you’ve been in an accident, don’t wait to get help! Contact us today! Our team of doctors and claims specialists will help guide you through the process. Taking care of your injuries and helping you get the compensation you deserve is what we do best!